2 Drawer Chest Storage Space Provided By Its 2 Wood Handled Drawers. It Boasts Sturdy Construction And Is Easily Assembled With Household Tools. 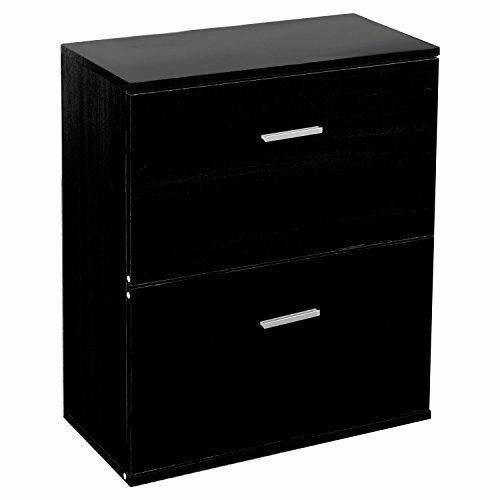 This 2-Drawer Chest Is Suitable For Storing Lingerie, But It Can Also Be Used To Store Other Items Like Undergarments, T-Shirts, Kids Clothing, Linens And More. Its Contemporary Style With A Muted, Black Finish Ensures That It Will Look Great In Your Bedroom, And Its Towering Design Makes It Suitable To Provide Extra Storage In The Closet Too. Its Vertical Design Saves Floor Space While Enhancing Storage Options. Don 'T Hesitate To Buy It!